Award-winning travel writer once said “everything in Africa bites, but the safari bug is worst of all.” This is certainly true in Kenya, where the opportunities to see some of the most awe-inspiring wildlife are plentiful and the experience of your safari is likely to leave you itching for your next trip. As a place to spot the “Big 5” of rhino, lions, elephants, buffalo and leopards, Kenya gives you some of the best opportunities on its safari in the world famous Masai Mara National Reserve. You can also choose to stay in some fantastic accommodation from campsites to fisherman’s lodges and get to meet local people on your travels and share in their way of life. Most of the Kenyan safaris on offer start or end with the capital city of Nairobi. Founded by the Brits in the 19th century, it’s a great place to start a trip and learn about the town. One That started out as a small railway hub and turned into a massive, thriving city. A strong and vibrant African city. As one of the most prominent and vibrant cities in Africa, Nairobi is well worth a few days to explore. 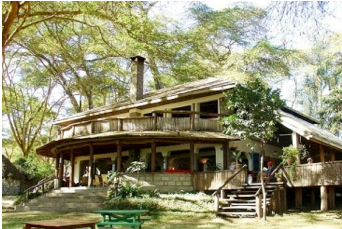 Its glittering buildings and lush open spaces make it a lovely place to begin or conclude your African adventure. Kenya has two incredible lake-land parks that are a hive of wildlife activity on the shores. Birds and big game flock to the lakes as a source of water and sustenance, making them a great place to visit to see some of the animals for which Kenya is well-known. Lake Nakuru has a huge range of wildlife that frequents the banks of the lake to drink, bathe and hunt. Flocks of flamingos numbering up to the millions transform the surface of the water into an ever-shifting mass of pink. While rhino bathe in the shallows and are overlooked by tree-sleeping lions. The area is also a birdwatchers’ paradise, with pelicans, cormorants and rock hyrax among the species local to the area. Birdwatchers also have much to see at Lake Naivasha where trips out onto the water can also bring you face-to-face with groups of wallowing hippos. In the evening they climb out of the water to graze around the banks at dusk. Green Crater Lake, while not as abundant in wildlife, has its own appeal with its naturally jade green waters in a conical volcanic crater. The Masai Mara National Reserve is some four hours south of Nairobi. The Mara offers incredible opportunities for spotting all manner of wildlife in the open on the plains. The circle of life is fully evident with gazelle, buffalo and zebra herds often chased down by lions and hyenas. One of the most breath-taking sights in the park can be seen between July and October. This is when the huge herds of wildebeest migrate across the reserve like waves crossing the open sea. With trips from six days right up to trans-Africa trails that take in the Kenyan parks over a trip that covers many countries over the course of up to a year. There are safari options that will suit all interests and every pocket. There are plenty of pre-scheduled tours that you can join. If you’re feeling adventurous you can select the elements that you really want to see and create your own ideal safari. A safari that features the best that Kenya has to offer. Ghana, not good but great!